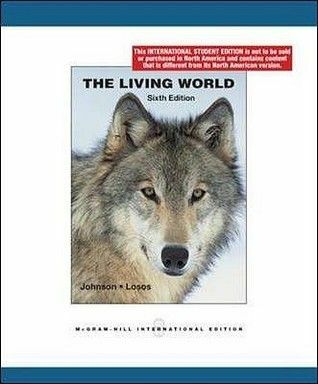 The Living World By Johnson, George B. You won't just receive a textbook with . We provide a wealth of presentation tools including textbook images in a variety of formats, Power Point outlines, and animations as well as online laboratories, activities and tutorials for students to help make teaching a little easier, and learning a lot more fun.